The parent company of Coach spent nearly $3 billion in the past few years to buy the Kate Spade clothing and handbag label and the Stuart Weitzman shoe brand. Those deals are looking like a fashion flop. Same-store sales for Kate Spade plunged 9% in the first quarter because of a huge drop in online revenue. And Stuart Weitzman's profit margin was hurt by production delays and weaker sales of older shoes. Those concerns outweighed the relatively strong results from Coach, where overall sales rose 6%. Shares of Tapestry (TPR), the parent company of Coach, Kate Spade and Stuart Weitzman, plunged nearly 15% on Tuesday. Related: Coach changes its corporate name to ...Tapestry? 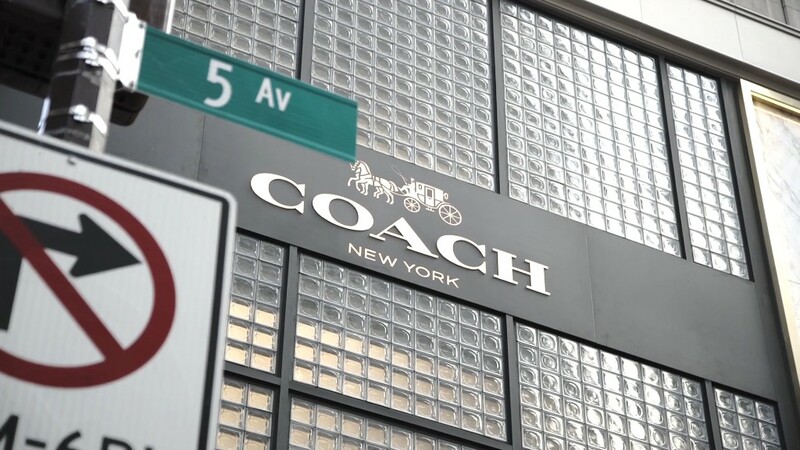 Coach announced in October that it would rename itself as Tapestry. Nothing has changed for customers, though: The Coach, Kate Spade and Stuart Weitzman brands remain intact. You can't actually buy anything branded as Tapestry from any of those retailers. A spokesperson told CNNMoney in October that the corporate name was changing mainly to reflect the company's expanding portfolio. But if Kate Spade and Stuart Weitzman continue to weigh on Tapestry's overall results, Tapestry's marketing executives may want to consider bringing back the old name. Coach still makes up more than 70% of Tapestry's total sales.